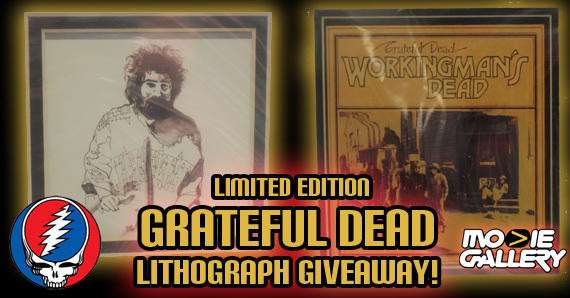 Grateful Dead Limited Edition Stanley Mouse Lithograph Giveaway! We’ve just finished packing up the prizes from last week’s Sin City Giveaway, and here at Movie Gallery we’re shifting our focus to the dead. The Grateful Dead, that is. 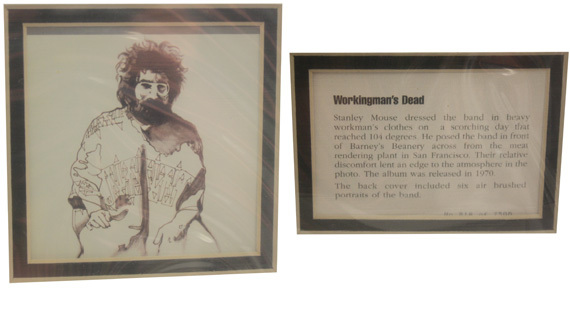 This week we’re pulling out the stops and bringing you a numbered, limited edition lithograph of Stanley Mouse’s original artwork for the prolific jam band’s fifth studio album, Workingman’s Dead. Head to the end of Shakedown Street and learn how you can add this beautiful art piece to your Dead collection! 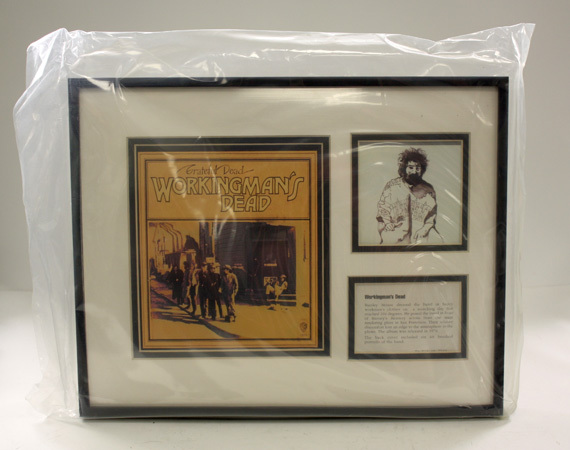 This deluxe framed display is a tribute to Workingman’s Dead, the fifth album from the world’s most beloved jam band… the Grateful Dead! Lithographs of Stanley Mouse’s artwork for the album are mounted, matted and framed with background information about the art. Originally issued in 1998, only 7,500 pieces were made under Stanley Mouse’s supervision, and each is numbered on the front. 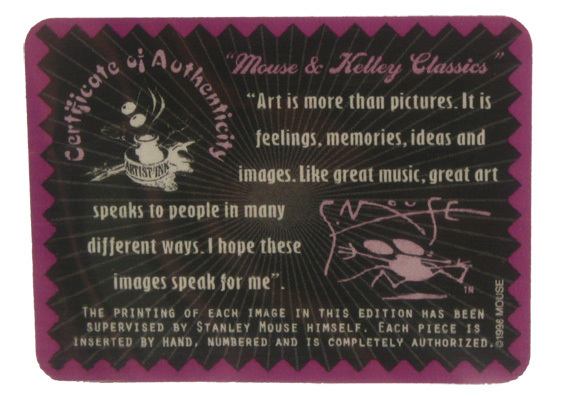 Includes a “Mouse & Kelley Classics” Certificate of Authenticity so you can be assured you’re getting officially licensed merchandise. Frame measures approximately 14.5×11.5″ is ready to hang. Always be sure to let us know what you would like to see in future giveaways. We love to hear your feedback and it is very likely that you could see it be the prize next week. This entry was posted in Contests & Giveaways, The MG Blog and tagged giveaways, grateful dead, stanley mouse by mgadmin. Bookmark the permalink.